To power the Worthy project during the 24 hours of every day that it’s installed, I’m going to use a Honda EU2000i generator and an extended-run fuel tank. I just built this lockable crate, which will be bolted to the art project itself. It’s not quite complete. In addition to getting paint, the crate needs an opening for the exhaust and the hot air that is created by the air-cooled gasoline engine. And of course the crate also needs an opening for air intake. 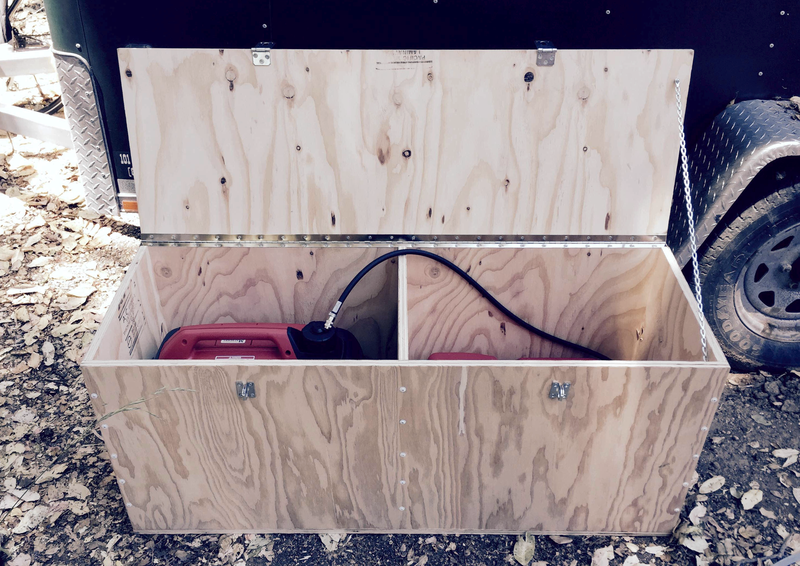 With no room for pulling the starting cord, I need to start the generator outside of the crate. 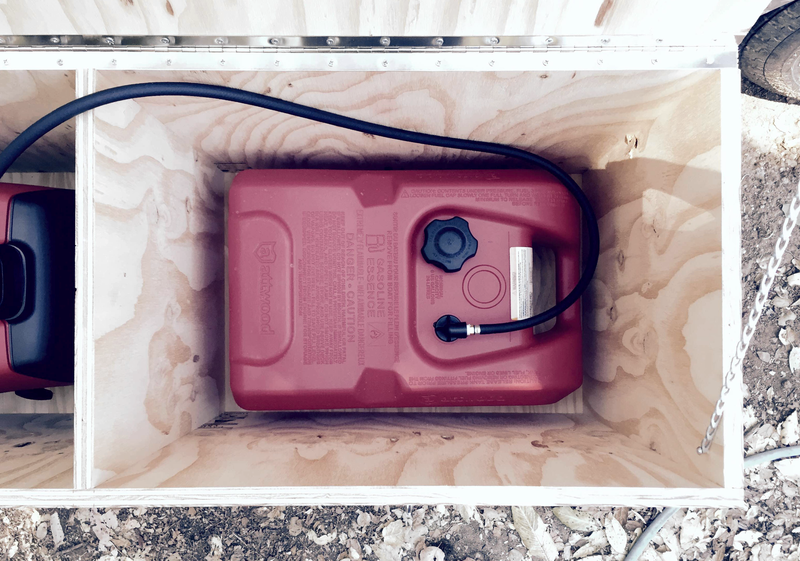 The extended-use fuel tank fits comfortably in its half of the crate. I’ll need to cut a notch in the partition for the fuel hose. 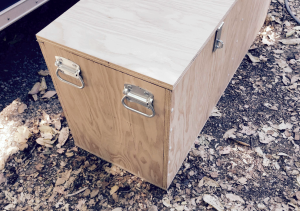 A set of folding crate handles completes the construction. The generator, fuel tank, and crate all together weigh about 150 pounds, so moving this will take a partner. 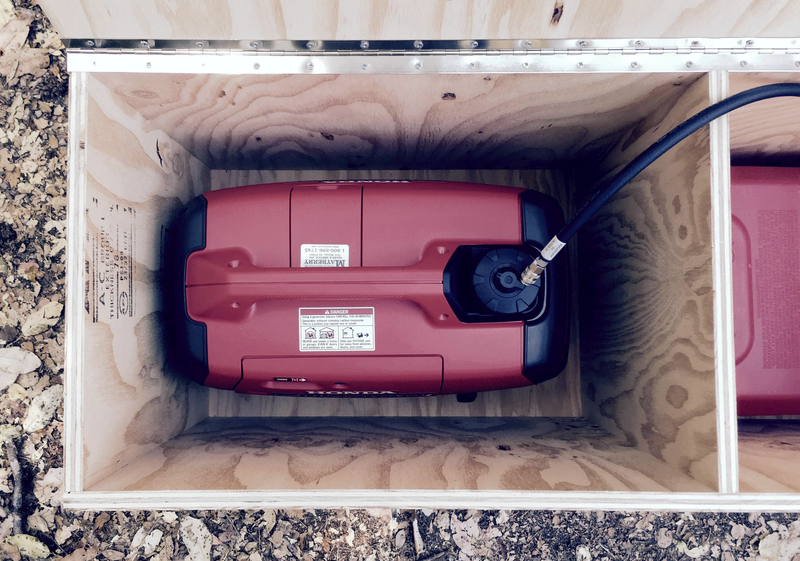 Alternatively, one can move the empty crate and then insert the generator and fuel tank after the crate is put in its place.